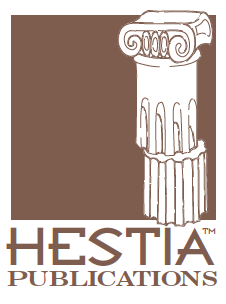 In honor of Women’s History Month, we remember Hestia, the Goddess of Hearth and Home. This is a reprint of an article first published on the Houstory Hearth on December 12, 2012, and has become one of the most requested on our site. Before there was Houstory, there was Hestia. Literally. An early prototype of company logo — before we became Houstory. 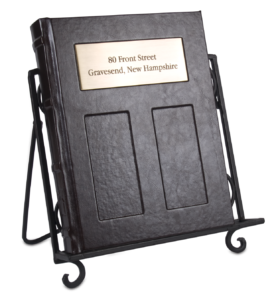 After the muse struck and we had shopped around the idea of the Home History Book with positive results, we figured the next logical step would be to give our dream company a real-life name. In inspired fashion, Hestia came to mind. I knew almost nothing about her at the time, but I learned that Hestia is the Greek goddess of Hearth and Home, charged with the important task of keeping the home fire stoked. Sounded like a pretty good fit for our company. While I won’t go into the details of her birth (which like many God/Goddesses involves considerable oddness — in Hestia’s case being swallowed at birth and later regurgitated by her dear old dad), she is regarded as one of the 12 great gods of Greek mythology. Specifically, she is goddess of domestic life. Of motherhood and child-rearing. She is the “mom goddess” – even though she never married. Curious that. According to Wikipedia and other sources, she blesses one with domestic happiness. (Or withholds her blessing if not asked for it.) She is often thought of as the nicest goddess. As the goddess of the sacred fire of the altar, she feels comfortable in the kitchen and has a special affinity for cooks and bakers. Hestia has a keenly developed spiritual side and plays a special role in the rituals of the various gods and goddesses, always making sure that their temples are prepared and everyone is comfortable. She is a wonderful hostess. While I’ve not seen it written down officially, I feel Hestia actually would have been very comfortable being the Goddess of the Heart. But that, of course, was a position firmly occupied by Aphrodite. So the next closest thing to the heart, she felt, was the hearth. While today we generally think of the hearth as simply part of a nicely designed fireplace, in historic times the hearth was essential. It was used for heating, cooking and cleaning. It was also the focal point for religious rituals. Both literally and symbolically, it was heart of the home. While the Goddess of the Heart and Goddess of the Hearth are both deeply loving beings, there often does seem to be some sort of inner war going on between them. Certainly their paths have been quite different. One wonders if Hestia might not have been caught off guard at how much work it was going to be. Instead of passionately pursuing romance, lovers and adventures of the heart like Aphrodite, Hestia shouldered the heavier, more demanding job of making sure dinner was on the table, the home cleaned, the laundry done and the family and home operating smoothly. It was her energy that kept the family looking and feeling like a family. 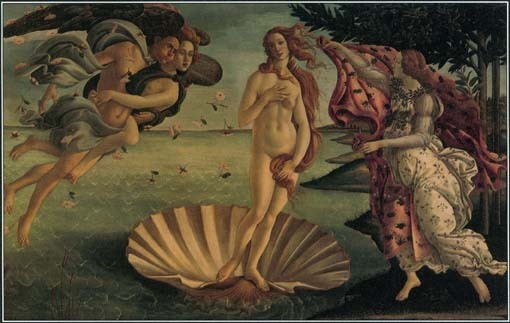 Sandro Botticelli’s painting The Birth of Venus (aka Aphrodite) from the mid-1480s shows the goddess rising from a seashell. 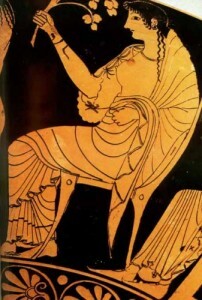 In her book Love Magic, Laurie Cabot describes the various personality archetypes and says that Hearth Goddesses, which in addition to the Grecian Hestia also includes Brigit, Cerridwen, Vesta, Hera, Isis, Hathor, Frigg, Arianrod, Nanna and Juno, are “very centered, inner-oriented women who develop great wisdom concerning the importance and meaning of everyday things.” While they can enjoy an active, rewarding love life, Cabot says for some Hearth Goddesses it’s often with more of a “take it or leave it” approach. In the end, in naming our company, we found that Hestia had already found a couple suitors in the all-important world of Internet domains so we moved on and soon landed on Houstory, which also felt good at the time – and is feeling better and better and better every day. Still, it was Hestia who called to us first. And we thank her. She’s done a wonderful job keeping the home fire stoked and helping us at Houstory establish a strong foundation for our young company. But the time has come to take off the permanent apron and put on your party shoes, girl! Because, just like here at Houstory, it’s starting to feel more and more these days like you actually can have it all. I recently read a fun lesson plan that asked students to identify real-life modern day persons that possess the same traits as traditional heroes or figures from Greek mythology. 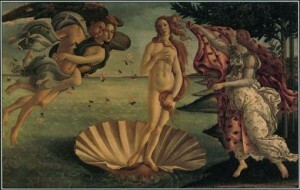 Beyonce and Marilyn Monroe, for example, were mentioned as possible Aphrodites. Alas, Hestia, who never went in too much for the fame stuff, went unclaimed. Any suggestions? Who do you think would make a good model for a modern-day Hestia? Leave your thoughts in the comment suggestion, below. Herd-Worthy Because: A feel-good story about the return of a family wedding dress after a tornado ripped through its owner’s home in Iowa. Herd-Worthy Because: What can we say, it’s a popular question amongst many home history enthusiasts. We came across this article while trying to research a Web site called DiedInHouse.com — that for a modest fee — says it will search public records to find out if anyone has died at any valid U.S. address. As a bonus, the site says its search will also turn up any information about any fires or drug activity (i.e., was my beautiful old historic home — or the one I’m thinking of buying — ever a meth lab?) that took place on the property. Herd-Worthy Because: What a great idea! (If we do say so ourselves….) This Iowa newspaper picks out homes in the local area and digs into their past — and the stories of those who lived in them — as part of an occasional series it publishes.